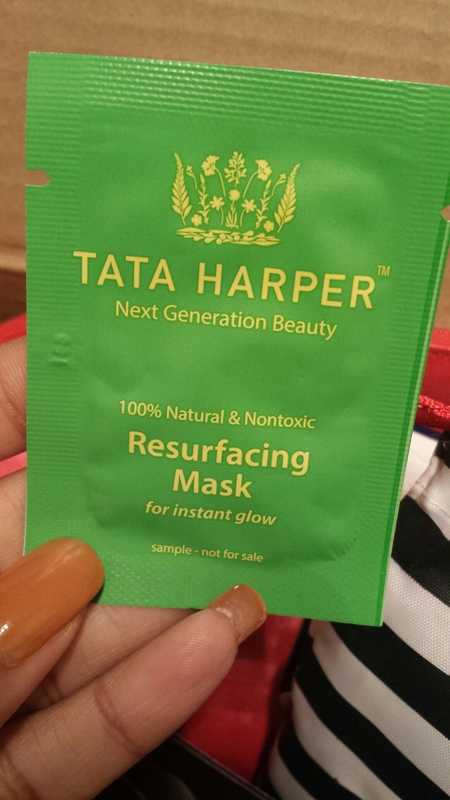 Today’s post is featuring an all natural mask that I got as a sample in a recent haul from Sephora online order. I figured since I haven’t done a maj in a while and I am experiencing more breakouts than I do on a normal basis, that it wouldn’t hurt to give it a try. It’s a rather small green sachet,and is contents are a light brown jelly like substance. The instructions say to apply a thick layer on clean skin for 20-30 minutes (but only 10 minutes if you have sensitive skin), and then remove with warm water. The mask feels very cool and lightweight, but I should add that there is hardly enough of a sample to apply to your whole face, nevermind a thick layer. The mask dried to a glue like consistency, but not one that you could quite peel off your face. It does do a little bit of peeling if you happen to move your face a bit after the maj has set and dried. 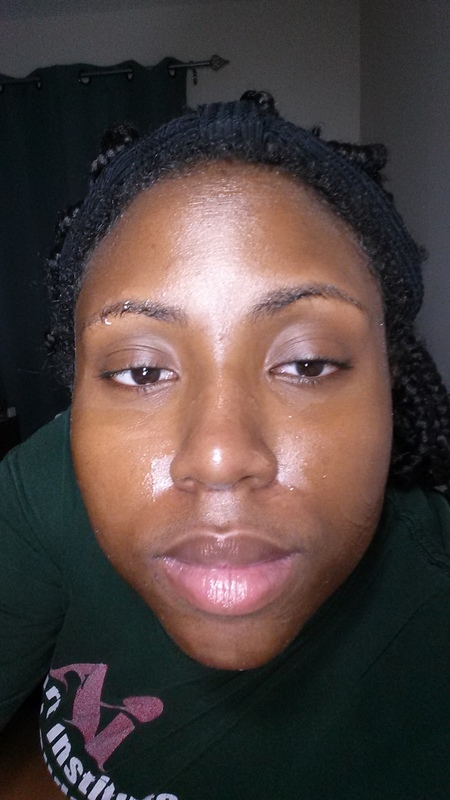 I rinsed as instructed and part my face dry with a towel, then sprayed some fixed plus from MAC. I didn’t want to use a full moisturizer after using this product, as I wanted to see how effective it really was. Bottom line: I really like it. My skin feels moisturized and supple. It looks and feels smoother after just this one use. It’s not a miracle worker, but it still offers pleasing results (for the record I have oily, non acne prone skin). It was not drying, and my face actually felt soothed after I rinsed it. If you all get the chance, head out and try it.